Ok. Brace yourself. 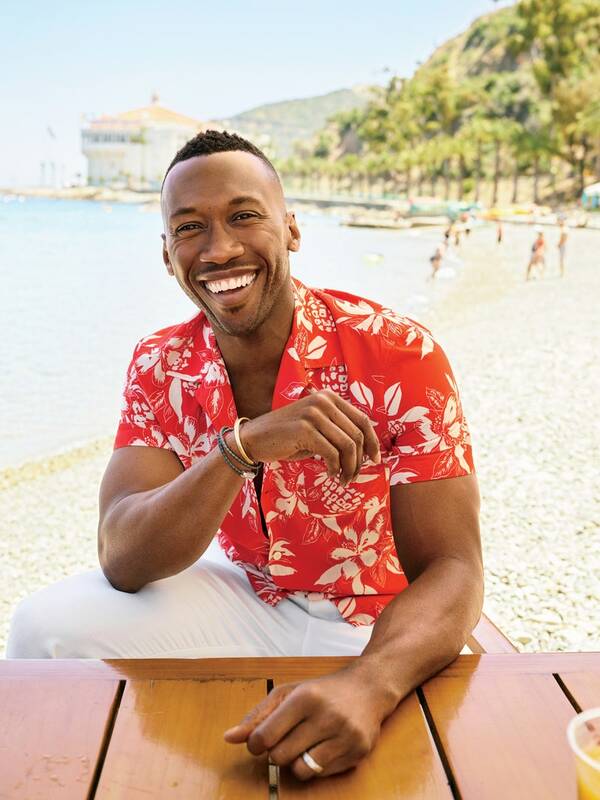 Mahershala Ali is wearing some pretty nice shirts in the latest issue of GQ. My first reaction upon seeing this cover was to pass out and recover. The second was to admire Ali’s awesome smile. 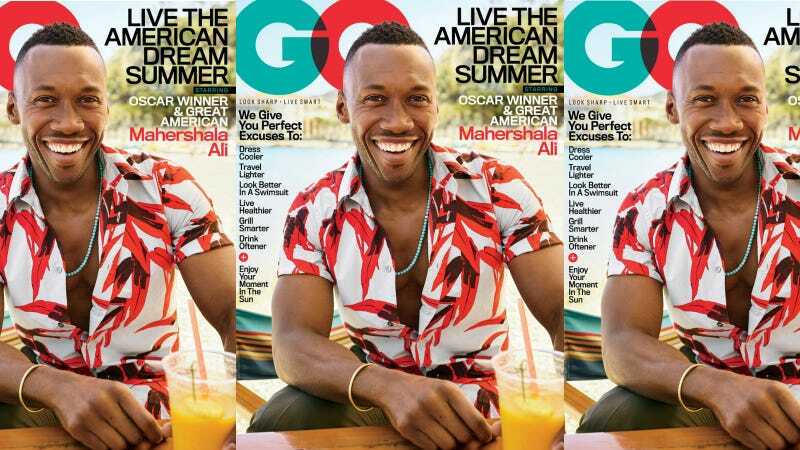 My third remark was: “That’s a very Winston shirt.” Little did I know that so many more great shirts were waiting for me under the fold—eye-popping patterned shirts that might look foolish on others, but on Ali, they’re every bit stylish and charming. Like this. And this. And this. Great shirts. It’s impossible to ignore them. The speech was a remarkable thing to watch, a near spiritual moment amid a humdrum parade of movie-industry self-congratulation. Here was a dark-skinned American Muslim in a gleaming white tuxedo jacket gently, word by word, opening up his heart to the audience. If you’ve never worn plants on your pants—or your shirt, shorts, or jacket—allow us to introduce the botanical print. You may think you’ve seen it before on novelty goods at the Honolulu airport, but these have been thoroughly upgraded and fashion-ized. Basically, designers are taking palm fronds, wildflowers, and other natural foliage and blowing up the scale until it looks like an Andy Warhol silkscreen—then slimming down the silhouette. The idea is to look less like a tourist and more like someone who spends every day in paradise. The man also makes them look good.